Devilkin is a born warrior, who draws its sword out of the sheath, shining with divine radiance. It is the incarnation of courage and justice, which uses the blade-shaped design on both the front and back sides. The lateral body adopts curve design to show its elegant lines. 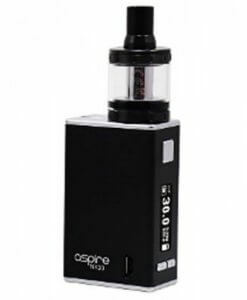 Super 225W output combining with the revolutionary TFV12 Prince tank will bring you ultimate vaping experience. It has upgraded user interface and 1.3 inch screen with high-definition that displays more specific data. Snake pattern on the back side is in harmony with the cobra drip tip, fully presentingyour unique personal taste and charm. 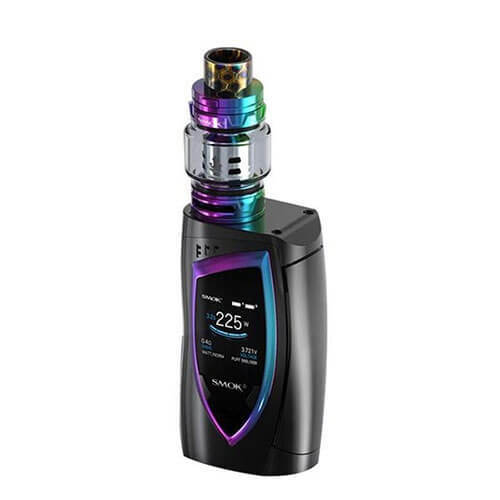 The Devilkin 225W TC and TFV12 Prince Full Kit is a new line up from SMOK that features a HD screen with detailed vaping data, a lateral curvy body design, and features the TFV12 Prince Sub-Ohm Tank. The Devilkin has been designed to integrate all of SMOK’s newest and most cutting edge features, design, and output technology into a compact and visually striking chassis. 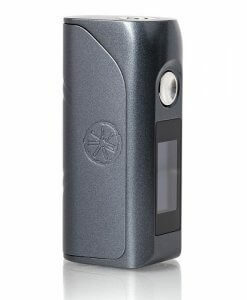 The chassis of the Devilkin features a familiar design that we are all comfortable with but an upgraded 1.3 inch screen that details essential data for users. 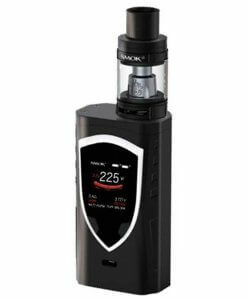 Powered by SMOK’s newest chipset, the Devilkin is capable of 1 to 225W of output, a trio of output setting adjustments, and comprehensive temperature control suite that packs in adjustable TCR as well as Preheat capability. This suite of features makes the Devilkin a capable and versatile platform. User control for adjustment is implemented through a three button interface, a richer and more intuitive menu design is implemented for a more efficient use and easier adjustment control with a full array of essential data. Included with each kit is the new SMOK TFV12 Prince Sub-Ohm Tank which combines the best elements of two of the most popular and critically acclaimed tanks today, packing in the manageable size and affordable performance coil family with the capacity and range of the full sized TFV12. Own the night with SMOK’s incredible line-up, the Devilkin 225W TC and TFV12 Prince combine to create the showcase set-up of the year.